The Recent study indicated that 70% of Internet-connected home devices have security vulnerabilities. If you think your system is secure, you should be thinking again. Can Home Automation Gadgets Get Hacked? A person was able to gain access to eight different homes, as a test, revealing sensitive information including IP addresses, appliances, devices, and even the names of children living in that home. It was found out where some of the homes were located, and even the lights of the master bedroom were turned on and off. The access to te homes was gain simply by Googling for smart homes. The passwords or user names were not needed so the test was easy to be made. The answer to our question is – unfortunately, all smart homes are vulnerable to hacking. 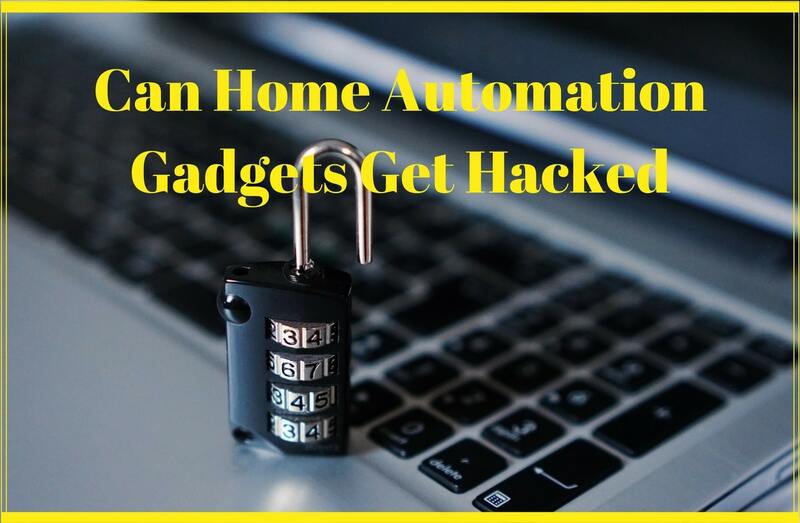 Home automation hackers can do much harm to a household – from just monitoring your daily routines and intimate moments and exploit it to strangers, to control your energy bills by turning the devices on and off or even rob your house. Therefore is very important to work closely with your home automation system provider to learn about security measures and how to maximize them. The more security measures you take, the more secure your home is. 1. Set a password and change it regularly. It’s not just important to set a password (Not having one is a big mistake), it’s important to set a strong one and change it regularly in case hackers got to your old password. It is highly unrecommended to use names, especially family names or pet names. A strong password includes numbers and small and caps letters, and it should be the different combination for your home automation system and for a home network. 2. Secure router. When buying a router choose one that’s known for its security features and change the default password after installing it. 3. Secure your network. Create a separate network for your home automation system and make it invisible from automatic searching. With that setting, without the correct name of the network, you can’t connect to it. 4. Check your logs and watch your bills – monitor closely your logs and bills for any unusual usage every month. If there is some regularity you might be hacked and will have to contact your security system, provider. 5. Regularly update the firmware on your router as well as the software for your home automation system as well as the mobile app. 6. Don’t use public WI-FI to access your home automation system remotely. Be careful about the connection you are using. The best way is to use an encrypted mobile website if you have that option. Home automation is very practical, however, as we need to be careful with all the other internet accounts that serve us faithfully, we need to be careful managing all the devices we use in our daily lives that are connected to the network. If all the security measures are taken the home automation system will work without mistakes and to our benefit.